Go Ravens! I shouldn't talk, I'm not a football fan, nor do I care who won the Superbowl today. I only enjoy the food preparation and the eating that's involved. During the game I like to take a nap with my full belly. I guess you could say that I get more excited over the Oscars than football! 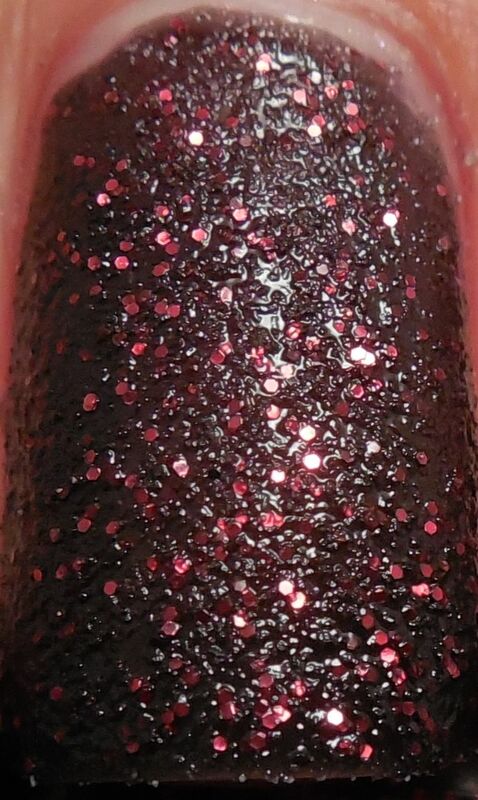 Nothing special tonight, what I have is another swatch of the OPI Liquid Sand polishes that was released with the recent Mariah Carey collection. She's not my favorite artist, but I was intrigued by the Liquid Sands and wanted to give one a try. 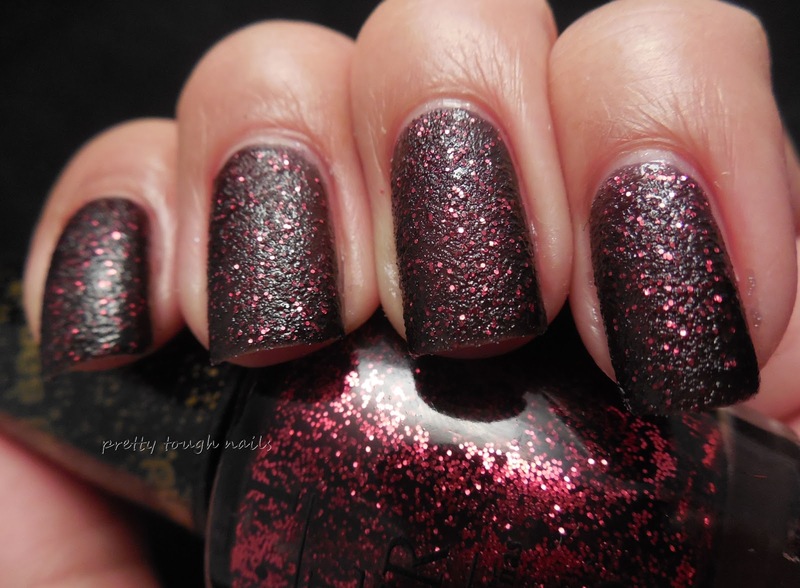 I decided to go with the vampiest of the bunch, and that's Stay The Night, a black and fuchsia pink glitter polish. Application was easy, I used two coats and didn't have any pooling or drag. It dried pretty quickly, almost the same as a regular creme but slightly longer by a a few seconds I'd say. I like that I don't have to use topcoat on this and once it's dried and "sandy" it's fun to brush my fingertips along the texture. It really does feel like sand, with a rough but not unpleasant feeling. The fuchsia glitter shows through much better IRL than in the pic, and it doesn't look as shiny IRL either. Based on this, I'm definitely considering buying more of the Liquid Sand polishes. Do you own any and do you like the appearance and texture of these? Would you want to see more releases of this type of finish in the future? Hahaha! I chose not to do topcoat because I felt like everyone was showing it with the topcoat, and I wanted to keep the polish the way it was meant to be worn. I ended up taking it off in a day because it was a little too rough for LO's delicate skin.